Thanks again, Anne! You're a star! You will need 2 sets of cards, one set with the Indonesian word and the other with either a picture or the English word. Hand out the Indonesian words to the students and divide the class into groups of 4 or more. I usually divide my class into 4 groups and have each group stand in a corner with their cards. Then call the English word or show the picture. The person with the Indonesian card gets to sit down. The first team with all its members sitting is the winner (Bingo!). 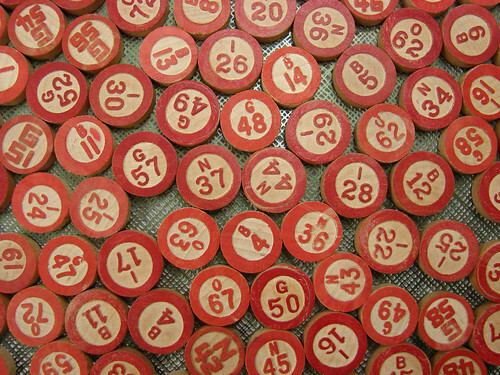 there are so many versions of Bingo that are being used in classrooms already - why not share your favourite?